Flora Carbo is a young musician based in Melbourne. She began playing alto saxophone at the age of 12 and since then has studied with musicians from Australia and around the world; most notably Julien Wilson, Angela Davis, Melissa Aldana, Jeff Clayton, James Morrison and Lee Konitz. 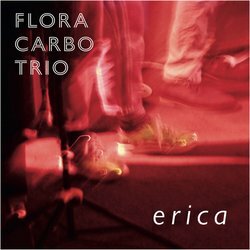 Flora has performed extensively in Melbourne and around Australia, at venues such as Bennetts Lane Jazz Club, Uptown Jazz Café, The Jazzlab, and at festivals including Wangaratta Festival of Jazz, the Festival of Slow Music (Ballarat) and the Melbourne International Women’s Jazz Festival. She has worked with world renowned artists including pianists Barney McAll and Andrea Keller, as well as co-leading the Carbo/Carter/Gunnoo Quartet (will be recording their debut album in September 2018). In May 2017 she was the featured soloist with James Morrison and the Melbourne Symphony Orchestra at Hamer Hall after winning the prestigious James Morrison Scholarship at the Generations in Jazz Festival. In 2016, she was selected as one of 10 finalists in the National Jazz Awards at the Wangaratta Festival of Jazz and was nominated for the Freedman Jazz Fellowship in 2018. She is currently studying a Bachelor of Music at the James Morrison Academy of Music, Mount Gambier. This piece is dedicated to my good friends Ollie and Eva. In January 2018, along with my brother Theo, we were in Berlin together and Ollie had bought this tourist map highlighting all the best coffee shops in town. We had a lot of well caffeinated good times exploring the beautiful city trying to find as many as we could.